The definition of an all-rounder in cricket used to mean a player who was so good at the two basic, essential skills in cricket – batting and bowling – that the player could merit selection as either a specialist batsman or a specialist bowler. It demands of a player to be a specialist Test quality batsmen, who could bat in the top five and has the ability to score hundreds, and to be a specialist Test quality bowler who could deliver roughly 20 percent of team overs and take wickets in bunches when conditions allow it. So, it should not be a surprise that in the long history, there have been only a handful of players who were genuine all-rounders: Gary Sobers, Keith Miller, Imran Khan and Ian Botham. 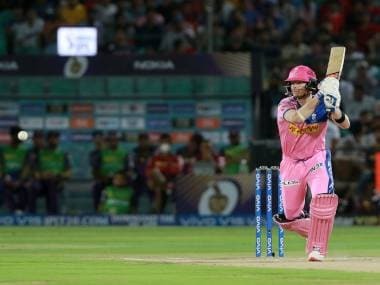 The advent of limited overs cricket has shaded the idea of all-rounders, with demands on bowling restricted, as is the ability to play long innings. Jacques Kallis was a high quality batsman who could bowl, and Kapil Dev was a high quality bowler who could bat, as was Richard Hadlee. 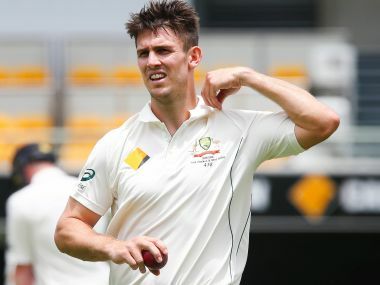 Limited overs cricket gave rise to a new breed of cricketers, 'bits-and-pieces cricketers' who neither were a specialist batsman nor a specialist bowler, and it is in this category Mitchell Marsh fits in. In modern cricket, players abilities seen through the narrow lens of limited overs, confers the tag of all-rounders to players like Mitchell Marsh and team managements believe they are good enough to warrant the No 6 spot in the Test lineup. That's a fatal flaw in thinking bits-and-pieces cricketers (from limited overs cricket) could excel in the demanding environment of Test cricket. 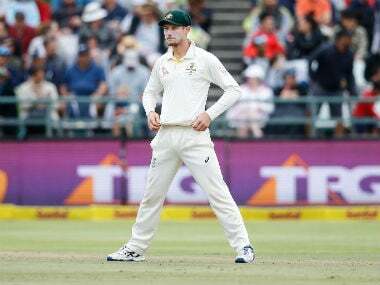 Marsh is built like a fast bowler and has the power to hit the ball out of the park but does he have the stamina to deliver long spells, and bowl multiple spells in a day, or have the skills to play long innings on challenging pitches against quality bowlers? Based on the record so far in his 19 Tests, the answer to those questions is a a resounding “no”. Since his Test debut at Dubai in 2014 vs Pakistan, Marsh averages 23.18 with the bat in 31 innings, with just two fifties. In addition, he has bowled just 1867 deliveries out of 18873 that Australian bowlers sent down in those 19 Tests (9.9%) and has taken 29 wickets at an average of 37.27 (economy: 3.47 RPO; strike rate: 64.3). No player with any pretensions of being an all-rounder would be taken seriously with those numbers. As a point of comparison, England's Ben Stokes – another fast bowling “all-rounder” – averages 33.96 with the bat in his 32 Tests (four 100's, eight 50's), and bowls 14.4 percent of England's overs while taking 79 wickets at an average of 34.46 (economy: .4 RPO, strike rate: 60.6). 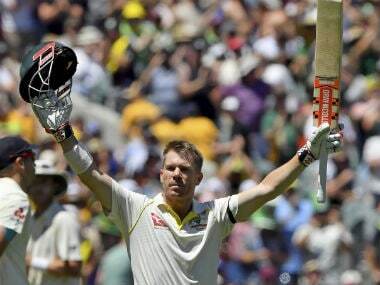 He too does not qualify to be a genuine Test all-rounder but his claims to it would be more reasonable than Marsh's. As an aside, in ODIs, Marsh averages 35.48 with the bat and bowls 13.4% of Australia's overs while taking 41 wickets in 45 innings (Econ: 5.58 RPO), while Stokes averages 35.48 with the bat and bowls 12.2% of the overs, taking 44 wickets in 40 innings (economy: 6.16 RPO). They can be considered equals – middle order batsmen who can bowl – in ODIs but they are still not “all-rounders”. Brydon Coverdale of ESPNcricinfo discussed the problems Australia have had in the recent years of finding a long term solution for their No 6 spot. Marsh's anemic returns with the bat, and not so flash numbers with the ball, despite the many opportunities he was provided, meant that he was dropped after the Perth Test vs South Africa in 2016. Callum Ferguson was tried and discarded after one Test, Nic Maddinson didn't pan out either – both in attempts to fill the spot with specialist batsman – and later against Pakistan, Hilton Cartwright was tried but did not make the trip to India. And so, Marsh after sitting out the side for five Tests is back in, without any further First-Class cricket to have shown that he has improved. It would seem that he is back in the side because the few options Australia tried did not pan out, and they decided to go with the devil they knew rather than the devil they didn't. 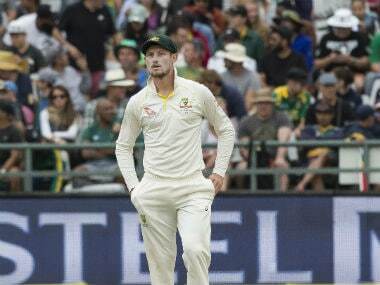 On the eve of the first Test of the India series in Pune, there was talk from several members of Australian media that Josh Hazlewood – one of the best fast bowlers in the world – will be dropped to make way for a third spinner in the XI, while Mitchell Marsh is expected to be slotted in at No 6. If indeed Australia drop a specialist bowler for a bits-and-pieces cricketer, well, they will be shooting themselves in the foot and they will only have to themselves to blame when they series goes pear-shaped.